Zamparini, who still hopes to sell the club -- relegated to Serie B last season -- claimed Baccaglini had been wasting his time. But in a letter published by La Repubblica, Baccaglini wrote: "My team and I take note of this refusal of our offer to acquire Palermo Calcio. "Over the course of these months, I called and summoned people I believe to be the best professionals around to structure a project which could have been sustainable and guaranteed further growth to the club. "To the city who welcomed me so warmly, I would like to express my sincere thanks with the hope that one day our paths may cross again and that, in the meantime, everybody can find the required calm. "I always spoke of the opportunity to buy Palermo as an investment which had to make sense numerically. The result of this intense work is an offer which we judged satisfactory to all parties, with the necessary guarantees of payment, maintaining the team's interests as the priority." 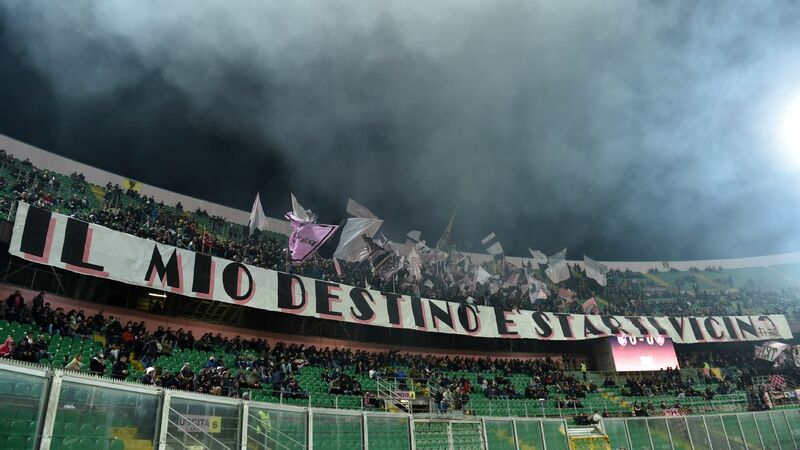 Baccaglini said he felt he had "put everything into this," adding: "I've not held back any energy, time or economic resources over these months in a bid to find a road which could lead to the construction of all of the ideas that could make Palermo a great success story." But Zamparini accused him of being full of "hot air" with little action, with mediagol.it reporting him as saying: "Unlike what Baccaglini says, there was no offer, just a contract signed by him and his backers in February which they had to respect. "I asked for guarantees not for me, but for the fans, for the team and above all for the city. "There have been months and months of false announcements and I am certain, now, that all the former TV personality said was hot air. You know how much money I've put into Palermo? His backers, on the other hand, have done absolutely nothing."